Fancy a Road Trip This Summer? Now that Spring is upon us, many of you will be feeling the excitement and optimism that comes with longer days, warmer weather, and that sense of knowing summer is just around the corner. What better way to celebrate than planning a fabulous road trip, and if you’re looking for some inspiration, this is the post for you. That said, before you start planning your trip you’ll want to make sure your vehicle is up to the journey as the last thing you want is to have to curtail your journey or make a detour via an auto repair shop due to your car breaking down en route. Now, presuming your car is road trip ready, or in the case of travelling internationally and hiring a car that your passport is up-to-date, it’s time to start thinking about locations. Here’s some top picks from around North America. If you’re looking to get away from it all you can follow the route through Southern Alberta to the lunar landscape of the badlands to where the Great Plains meet the Rocky Mountains. It’s a breathtakingly beautiful journey with a lot of variety in terms of scenery and activities en-route. The US 1 from Miami to Key West is an ocean focused 150 mile drive that takes in a variety of the keys (little islands) sandwiched between the Gulf of Mexico and Atlantic Ocean. The most amazing section of this drive is the Seven Mile Bridge. If you want to travel coast to coast then Route 20 is known for being the longest road in America covering a distance of 3,365 miles from Newport (Oregon) to Boston (Massachusetts). Going around Yellowstone National Park makes a lovely pit stop but covering 3,365 miles is no small feat. 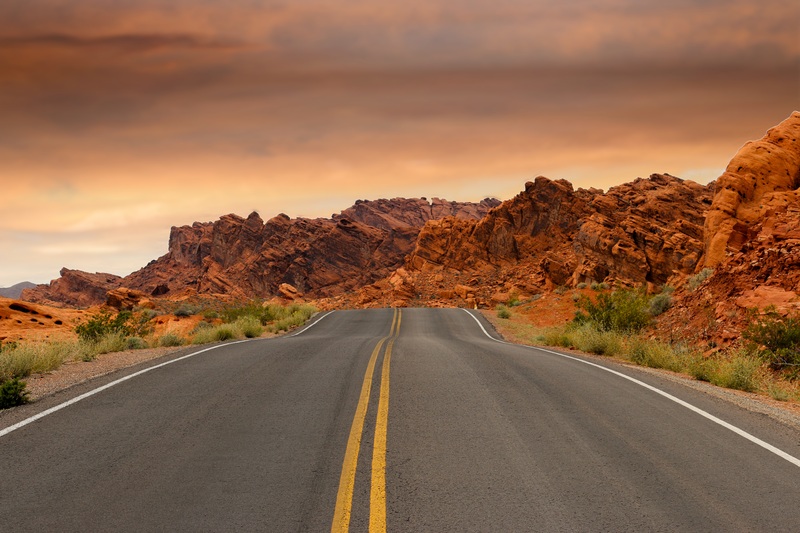 The route is fast and easy to drive; you should be able to cover it in two to three weeks – but the best way would be to take a little longer, so you can experience the Real America along the way, rather than just sit on the tarmac. Starting out of Route 17 in Phoenix you can visit Flagstaff, the Grand Canyon, and cowboy landscapes on the Arizona/Utah border. Then, progress to Route 191 to enter Winslow using Route 66. The top tip for this trip is to take a Jeep Safari along Diamond Creek Road, as this way you get to drive along the bottom of the Grand Canyon. Perhaps one of the most famous roads in the entire world, Route 66 will soon celebrate its 100th birthday, as one of the first numbered roads in the US. In reality, whilst beautiful this journey covers a colossal 2,451 miles which means you’re not always going to be in awe of the scenery. Indeed, even though at times it might feel like you are driving through the set of an old western movie there’s only so much driving one can enjoy in a single trip. The full route stretches from Chicago to Santa Monica but there are a number of shorter options that pack in the most scenic parts. Nice. didn’t know about CANADA’S COWBOY TRAIL. Keep up the good work!